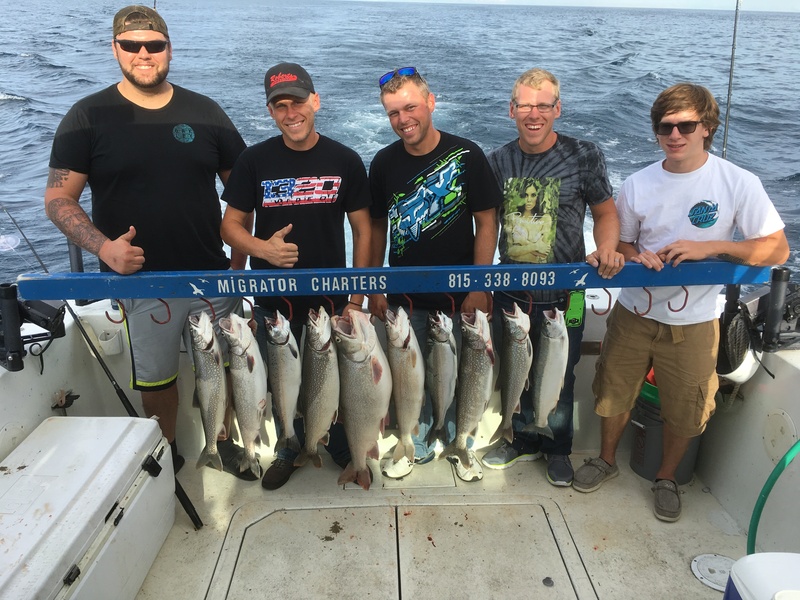 "There is no such thing as a bad day of fishing, just different qualities of good"
Welcome to Lake Michigan Migrator Charters owned and operated by Captain Caleb. We fish out of North Point Marina located on the Illinois-Wisconsin border. One hour north of Chicago and 45 minutes south of Milwaukee. We believe GREAT FISHING = GREAT FUN. Our goal is 100% customer satisfaction! Whether you are a seasoned fisherman or a "first-timer", we will do everything to make your day with us SAFE, FUN, and MEMORABLE!